In 1998 there were precious few experts who could code a website. In 2008 the tools had advanced to the point that anybody with reasonable digital savvy could build one without wrestling with code. Today the ubiquity of the tools, and democratization of websites is awesome. But there's an ugly underbelly to that. Often sites are conceived and judged by appearance, NOT by performance. That costs companies B2B sales. But companies often don't realize they're focused on the wrong things - and worse, since everyone's cousin can build a site, many designers (even at - some may say especially at - graphic design focused agencies) don't either. Appearance must be professional and consonant with the company's brand. In the industrial marketing space that's the extent of the website appearance "table stakes." Just thinking of a B2B sales focused website this way is a stretch for many. But among those that do, success is often simply inferred from secondary metrics. For instance how many leads are generated. But what if the CTA click rate isn't low because of the color, text or design, but instead because it's on the wrong place on the page? What if you know where to find key data, but visitors find your navigation befuddling and click back and forth before bouncing? 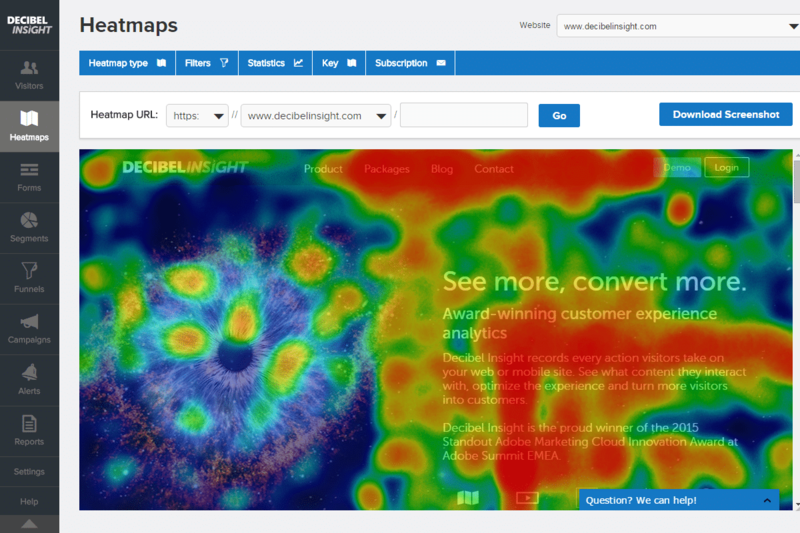 That's where heat mapping software is critical to effective design/redesign & optimization decisions for B2B sales websites of industrial manufacturing companies. Actually observations of visitor behavior (scroll, mouse over, click, site journey) should inform decisions. Yet many "website experts" revert to vague guidelines such as "best practice" and gut feeling. Many don't even use heat mapping. Simply ask them "Give me three examples of how you've adapted a site design and/or navigation based on observations you've made with heat mapping software." You might follow up to ask which heat map tool they prefer and why; what behaviors they observed, what they inferred and how they adapted; and even what interval they used to revisit the change and adapt based on new data. This will tell you pretty quickly what they're about. Comfortable with their answer? Great. Feel like it's perhaps a bit less analytical than you'd expect for your company and the investment you're making in marketing? Good thing you asked! The bottom line is that with the multitude of CMSs and templates available, anyone can create an aesthetically pleasing site. But building one that generates leads; creating one that's not only mobile responsive, but mobile optimized; and continuously improving and adapting to newer device preferences and visitor behaviors require an analytical approach to what used to be a graphic design function. Want to dig deeper into the financial implications of doing industrial inbound marketing for B2B sales really well? Download our guide for business execs - no marketing speak, just business & finance perspectives.